Guanxi or Li shang wanglai? Using a variety of methods learnt from her sociological and social anthropological training both in China and the West, and based on long term, in-depth fieldwork in a Chinese village on the topics of 'reciprocity, social support and creativity', the author has reached her concept of 'lishang-wanglai' by combining related Chinese notions of guanxi, mianzi (face), renqing, especially li shang wanglai, Fei Xiaotong's chaxugeju (social egoism), and accommodating notions of 'capital', social, cultural, human, symbolic and so on, as a part of the resources. This concept consists of generous, expressive, instrumental and negative forms of reciprocity (wanglai), governed by criteria of moral judgment, human feeling, rational calculation and spiritual belief (lishang), and combines a static model and dynamic networks with an integration of social support networks. The author then proposes that the driving force of the lishang-wanglai model is social creativity. This book showcases how an in-depth and comprehensive study of 'relationships' or 'relatedness', the core of Chinese social and cultural contexts, can increase our general understanding of human society. At the same time, it offers a theoretical paradigm for establishing a 'Sociology of China' and a 'Social Anthropology of China' from the perspective of Chinese scholars. Although the concept of "lishang-wanglai" is forged from studies of rural Chinese society, this book will help scholars from sociology, anthropology, political science, social policy, administrative science, management science, international relations, development studies, China studies, as well as researchers for governmental and non-governmental policy-oriented studies, cultural or business consultants, and people inside and outside China who seek a better understanding of the nature and rules of change in Chinese society. 2014 A key to understanding the Chinese “guanxi” culture and its social structure ---- A review essay on Guanxi or Li shang wanglai? Reciprocity, Social Support Networks, & Social Creativity in a Chinese Village, by Xiaojing Sun, Sociological Review of China, June. "This book brings all of this work of the particularistic alongside the universal, the socially loaded gift alongside impersonal exchange together as never before, more comprehensively and grounded in the most thorough ethnography. Taking up the classical schema of reciprocal and impersonal relations produced by Marshall Sahlins, Chang Xiangqun extends it and gives it life by showing how such a schema can work dynamically. This enjoyment and the dynamics of the making of interpersonal relationships are the two main contributions Chang Xiangqun has made to the ethnography of reciprocity"
"Based on extensive empirical research, Chang Xiangqun's book, Guanxi vs Li shang wanglai? 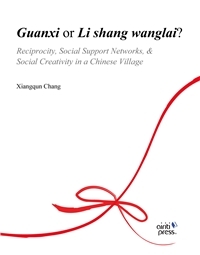 - Reciprocity, Social Support Networks and Social Creativity in a Chinese village, provides an invaluable overview of social relationships in the Chinese countryside, and puts forward an ambitious theoretical framework for thinking about them. Both scholars and students will benefit greatly from it." "Chang Xiangqun has provided a wonderful in depth analysis of rural central Chinese social relationships. Building upon the pioneering work of Fei Xiaotong, her study of Kaixiangong retains a strong historical feel as it probes matters of the human heart. Her investigation of Chinese emotional and ethical considerations provides a rich informed and vibrant chronicle ordinary village life. An excellent ethnographic account. This is how anthropology should be." "This book is a major contribution to one of the most dynamic research literatures in Chinese sociology and anthropology. Building on the many-sided significance of a phrase (li shang wanglai) used both in scholarly and everyday discourse, Chang Xiangqun develops a sophisticated framework for the analysis of interpersonal relationships in village China, bringing together phenomena often discussed separately as face, reciprocity or guanxi. She uses this framework to interpret her thorough and sensitive ethnographic accounts of social life in the area studied from the 1930s by Fei Xiaotong, emphasising both continuities and changes over time. This book will be vital reading for all sociologists who aim to understand the complexities of social relationships in this rapidly changing society." "The great achievements in socio-economic development over the past three decades have attracted worldwide attention to China. Questions about China's development model are becoming a very popular topic with different social scientific disciplines in the age of globalization. 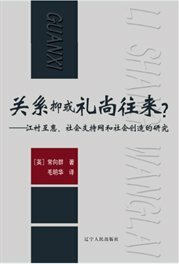 Chang Xiangqun's book Guanxi vs Li shang wanglai? can be seen as a "virtual icon" in which the so-called "China model" is embedded. This book is an excellent outcome based on the author's transdisciplinary training in both China and the West, long term in-depth empirical studies on contemporary China. It is the first Chinese scholar's book, in nearly 100 years, to systematically challenge important Westernsocial anthropological and sociological theories on reciprocity and social exchange." "Dr. Chang Xiangqun, in this in-depth monograph, revisits the village that the late Professor Fei Xiaotong studied 60 years ago in the Yangzi River Delta. Elaborating on Dr. Fei's pioneering work on graded interpersonal relationship, Dr. Chang further articulates the concept of lishang wanglai as the analytical instrument to understand agrarian stability in traditional Han Chinese society. This work enriches contemporary understand of rural China." "Though this is not the first book dealing with the establishment, reinforcement, and conditions of mutual benefit of interpersonal relations and its "guanxi networks" in ethnic Chinese societies, it is certainly the most ethnographic report on such social phenomenon in today's PRC society after reforms. It uses the everyday life phrase of "li shang wang lai" (reciprocity) to depict and to develop the prevalence and importance of personalized social relations in China. It both makes contributions on localisation of anthropological theory and brings local knowledge alive. In particular the significance of its political and social perspective are to note the revival of the important caring role of "family" for its members, and the strategic role of "personalized relations" in maintaining ordinary people's quality of social life under the post-communist state, the socialist society without the "collective responsibilities". Li shang wang lai (reciprocity) is in fact a true portraiture of the 'key relationships'. Although it is a serious anthropological study, this book reads with truth and liveliness, as though it were a work of reporting literature." "I first came to know Dr Chang Xiangqun back in 1987. She was a lecturer of sociology in the Chinese People's Public Security University, one of the few sociologists with a master's degree in sociology since it was re-established in China in early 1980s. I was lecturing in sociology in the People's University of China, and enjoyed insightful communication with China Xiangqun at conferences in Beijing and national-wide, as well as through reading her papers from Sociological Studies and Sociology of the "Replicated Journals", by the Information Centre for Social Sciences of People's University of China. Chang Xiangqun participated diligently in the National Social Science Funded project "Marxist Sociology Studies", conducted under the auspices of the Institute of Sociology Chinese Academy of Social Science (CASS). I was deeply impressed that she had thoroughly immersed herself in such so-called "boring" theoretical studies in Beijing, against the background of the excitement of the time when tremendous changes were happening in China brought about by the Opening-up policy since 1979. Although Xiangqun was not actively involved in Chinese sociology circles after she left China, her influences are still profound: her articles boasting domestic awards, her book has been selected in the China Year Book of Sociology (1989) which is the first of such covering 10 year's important work after sociology was re-established in China. During the past two decades, I kept in touch with Xiangqun and met with her on visits to the UK in 1995 and particularly 2007. When I visited LSE to negotiate about the cooperative establishment of the Confucius Institute, I met Chang Xiangqun before leaving London. She was just back from her fieldwork village and talked to me for hours with great enthusiasms about her work on Li shang wanglai (reciprocity). I realised that she had found what she had been seeking so unwaveringly. The "lishang-wanglai model" sets an example as an important theoretical paradigm for the sociology of China. 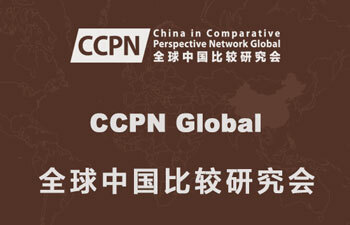 It can be used as a key to understand and interpret Chinese society and the Chinese people. This book demonstrates Chang Xiangqun's indomitable will in searching for truth and her solid theoretical background. Based on in-depth empirical studies and nearly two decades of experiences living overseas Chang Xiangqun presents us with another high quality book which can go down in history like her Marxist Sociology (in Chinese, 1992). 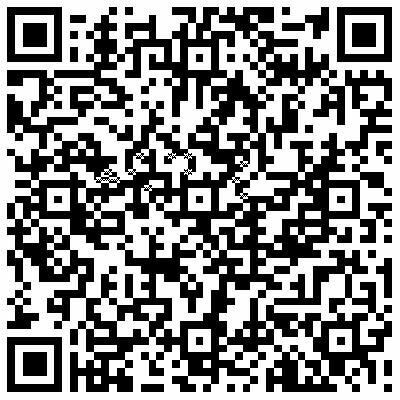 The publication of Guanxi or Li shang wanglai? in both Chinese and English versions, during the period of deepening reform of the Chinese cultural system, marks the transition of "Made in China" from material to cultural, specifically as regards forthcoming developments in social science." "I have known Chang Xiangqun, a scholar of the greatest determination, since the early 1990s when I was in London. Xiangqun, whose masterpiece of Marxist sociology had exerted a far-reaching influence, initially was a visiting fellow, then a research assistant and researcher doing her PhD and carrying out various research projects in City University and later at the LSE. Xiangqun's research interests focus on contemporary China studies, especially relationship systems, to which she devoted more than a decade. During the past years, she worked on social support systems in rural China, under Professor Stephan Feuchtwang's supervision, and co-authored the statistical report of the project. She possesses not only splendid research experience, but also astonishing patience that enables her to be immersed in researches. She visited Kaixiangong village (the classical fieldwork site of Professor Fei Xiaotong) many times and conducted similar work outside China (e.g. UK) to form a comparative study. Previously, Professors Mayfair Yang, Yunxiang Yan and others had made intensive studies of Chinese systems of relationship. Compared with these the book Li shang wanglai stands out with undeniable advantages and novelty. This book holding anthropological reciprocal theory as its breakthrough point, restudies the social life of a classical fieldwork site. The subtitle of the book includes the key words of reciprocity, social support and social creativity. I believe there are very few works linking anthropological classic theories of reciprocity with new theories of social support and social creativity. Xiangqun's work pioneered in this area. In particular, the concept of social creativity is very refreshing. Among many noteworthy qualities of this book there are three that stand out especially. (1) I would like to stress that based on in-depth empirical re-studying of previous studies and rethinking of reciprocity this excellent work has the characteristic of "critically inheriting" previous studies. (2) The author demonstrates the approach to her subject of significant social scientific research by constant questioning both fieldwork methods and theories. This book is an inspiration to Chinese scholars and exercises a valuable influence on the international social science domain. (3) Chinese social science "going abroad" needs both ideological resources and global views. Using traditional native Chinese concepts combined with theoretical resources from general knowledge, the author's approach on "guanxi" goes beyond studies of relationships in two dimensions, and provides a significant attempt at exploring this topic in a historical perspective with a dynamic approach." "Interpersonal relationships have been the hallmark of Chinese sociology ever since 1940, when Fei Xiaotong proposed a distinction between the Western individual, defined by equal membership whether of a group or many groups, like a straw in a bundle, and the Chinese individual, defined as the centre of a widening circle of reciprocal and hierarchical relationships, like the ripples made by a stone thrown into a pond. A large number of scholars, Chinese and non-Chinese, philosophers and historians, as well as sociologists and anthropologists, have since that time examined and elaborated a number of key Chinese terms, central to the moral philosophy and character of Chinese social relationships. At the same time, grand theorists of social evolution, in particular Talcott Parsons with his theory of evolution from particularistic to universalistic social structures, and Marcel Mauss with his theory of total social presentation giving way to socially embedded but impersonal money-mediated exchange, have been questioned and modified. Their evolutionary dichotomies have been turned into simultaneous dichotomies, the particularistic alongside the universal, the socially loaded gift alongside impersonal exchange. This book brings all of this work together as never before, more comprehensively and grounded in the most thorough ethnography. I want to say something about each of these achievements, the bringing together of previous discussions and theories and the grounding of them in ethnography. Li shang wanglai is a phrase that combines practice and principle. It is what others have discussed as Confucianism. But it is the summation of what is practiced in daily life and without the leadership of an elite intelligentsia. With this phrase Chang Xiangqun has brought together what had been separately discussed: the social philosophy of bao (asymmetrical reciprocity), the central importance of mianzi and lian (face), the moral economy of renqing (human relationships of fellow-feeling), the art of making guanxiwang (social networks), and much else. She shows how they work together in what might be called a discursive constellation. Using sociological and anthropological theorisations of reciprocal relations in China and Japan, she creates a framework of four dimensions, namely, principled calculation, rational, human-feeling, moral, and religious, and four kinds of relationships, namely, instrumental, expressive, negative and generous. This looks at first like a typology. But it is much more, because she shows how one kind of relationship can turn into another and how more than one type of principle can be in use at the same time in the same relationship. Indeed, taking up the classical schema of reciprocal and impersonal relations produced by Marshall Sahlins, Chang Xiangqun extends it and gives it life by showing how such a schema can work dynamically, as process rather than as map, as the way social distance and familiarity are created rather than acting as a fixed and determining structure. This brings me to the ethnographic grounding of the schema. What brings it to life, and what shows how it is a dynamic process, are the ways people conduct their relationships. Chang Xiangqun has produced the most detailed ethnography of the same village and area where Fei Xiaotong did his fieldwork for his doctorate in 1936. From her initial fieldwork in 1996 until the present day, she has made and maintained contact with the village residents. From this intense and continuous relationship with them, she can show how they are their own intelligentsia, how they think about and enjoy the making, changing and unmaking of interpersonal relationships. At the same time, she shows not just what are the customary, learned rules of what to bring as a gift to whom on different occasions, but also how villagers adapt and change customary rules to deal with new situations and a changing economy. They enjoy the making of distinctions, which accord with those of the framework she has used to present them. They enjoy the creativity demanded of them in changing situations. This enjoyment and the dynamics of the making of interpersonal relationships are the two main contributions Chang Xiangqun has made to the ethnography of reciprocity. I want to make one further recommendation of this book to its reader. The ethnography is about village life in contemporary China, a very dynamic and changing social setting. Chang Xiangqun embraces the facts of change, in particular the changing local political economy. During the years of her fieldwork, the village and township government has been changed a number of times and she describes how these changes can be understood in terms of the personalisation and moralisation of the relationships between villagers and their government. This is a micro-history of a village in what has become a very prosperous part of China and one which has its own peculiar culture, with, for instance, a greater stress on little sisterhoods and brotherhoods than in other parts of China. Nevertheless, this study illuminates, as a case study, what must be happening though with quite different customary practices and in different economic conditions, in other regions of China. The rapid development of Chinese market economics has not diminished the importance in China of interpersonal relationships; while the extension of the moral economy of interpersonal relationships to relationships with government is not only worked out locally, but everywhere." PART TWO THE PRACTICE OF "LISHANG-WANGLAI"
Chapter IX Theoretical approaches and exploration of "lishang-wanglai"
IX.III. Social creativity as motivation behind "lishang-wanglai"
XI.I. Li shang wanglai and "lishang-wanglai"
XI.VI. Methodological implications of "Lishang-wanglai"
V. Can "lishang-wanglai" be a general analytic concept?